Ten quilters, ten sewing machines, ten suitcases, ten twin-sized beds, ten GIGANTIC hearts, ten beautiful smiles…. …and countless laughter, giggles, hugs, and one-liners. It all adds to one very well spent weekend. I’ll post more next time, I just wanted to thank these ladies for being the wonderful, treasured friends that they are! You know what, it was a powerful weekend, wasn't it! Each one of those women made an inspiring impression on me. I feel lucky to call you my friend, Doris, and I thank you for including me in this amazing group! 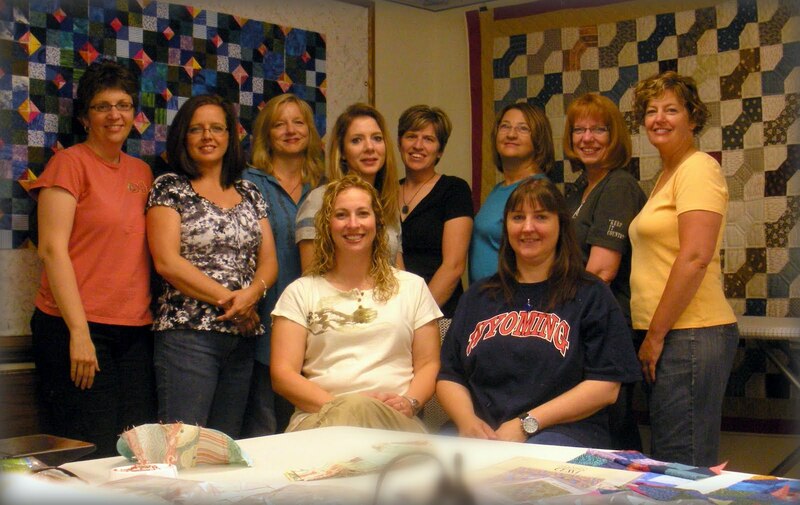 Such a great picture of 9 of my bestest sewing friends.